Emails, post cards, and text messages are just a few of the ways to get appointment and service reminders out to your clients. But now, there’s a better way to remind clients about important information and news: push notifications through Vet2Pet. A push notification is a message that pops up on your mobile device with information from an app that you have downloaded on your phone. You don’t have to be in the app or even using your mobile device to receive the notification. These notifications will be visible on your device’s home screen until you open your phone and look at the message. They can also be accessed at any time in the app and in your phone’s notifications area even after they’ve been read. 1. They are branded to your hospital. When a client gets a push notification from your practice, it shows up with your logo and your hospital branding in the headline of the notification. Vet2Pet is the only app that offers this functionality. When you send a reminder via text message, your client will only see the text icon and the phone number from where the text was sent. Because of this, some clients may delete the text reminder before reading it, and others may opt out of receiving texts since the sender is not clear. 2. Push notifications are a one-way street. Since your clients can’t respond to push notifications, your hospital can get relevant and important information to your clients more efficiently because you don’t have to be tied to a phone, computer, or smart device waiting for a rebuttal or additional questions. The options for utilizing push notifications within the Vet2Pet app are endless. Vet2Pet practices are always coming up with creative ideas on how to use push notifications to be more efficient, improve compliance, and stand out among the pack. Because you can specify these notification’s recipients, you ensure that the information you’re sending to clients is relevant to them and their pets. That means that when they receive a push notification from your practice, they’ll be more likely to read it. 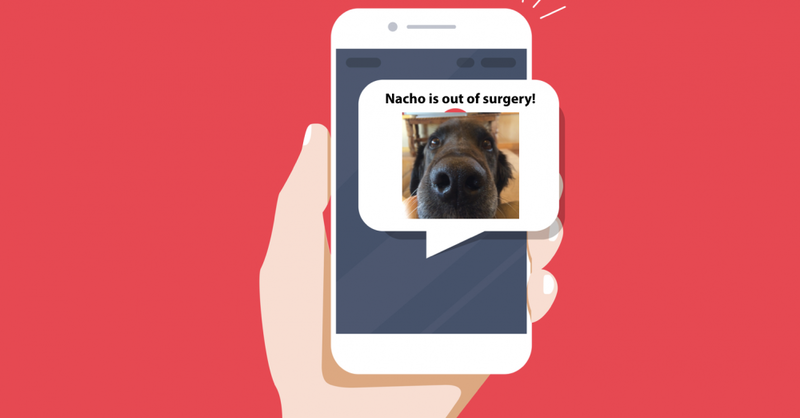 Check out how Jennie George, Practice Manager at Deerfield Veterinary Clinic uses push notifications in her practice! Do you use push notifications at your practice? Comment below to tell us how!